“Love Wins” is Bell’s first book since his break from Zondervan, the Christian publisher based in Grand Rapids, Michigan, that published Bell’s first four books and also publishes the New International Version of the Bible, one of the most popular translations of the Bible among evangelicals. To be the leader inÂ Christian communications meeting the needs of people with resources that glorify Jesus Christ and promote biblical principles. Given the mission of Zondervan, this is a significant statement from the President. It appears that Zondervan judged Bell’s book not to be a resource that glorifies Jesus Christ and/or that promotes biblical principles. 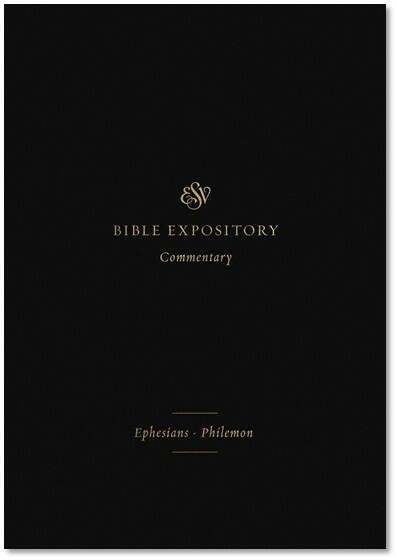 Zondervan is to be commended for this decision. They stood on principle and did not cave-in to the pressure to retain a best-selling author. It must have been a tough move to make, but I am grateful that they did. Tara Powers, spokesperson for Zondervan, with whom Bell has published four books, including Velvet Elvis, and the “Nooma” series, said that the company had not been offered the opportunity to publish Love Wins. “However, if the promotional video for the book accurately reflects its contents, it is highly unlikely that Zondervan would have accepted Love Wins for publication,” she added. This story corroborates the earlier report that Zondervan found this book to be outside its mission to produce “resources that glorify Jesus Christ and promote biblical principles.” The conflict with the CNN story consists in the fact that Mark Tauber says that Zondervan received the book proposal and passed on it, while Tara Powers says that Zondervan never even had the opportunity to publish the book. Does this mean that Zondervan never received the proposal? This is very good to hear. Refreshing to see $$ is not the sole driving force. AWESOME Move!! Congratulations and WELL DONE! 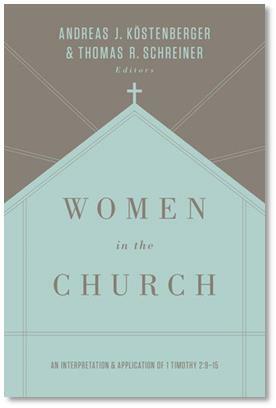 My Hat is off to Zondervan. My Hope is restored as well. It continues to amaze me where evangelicals draw lines – this is the same company which has, as its editor-in-chief, one of the founders of “Christians” for Biblical Equality. I guess if we’re going to have pastorettes we can’t have hell, eh? Hilarious that a company pent on publishing works of fiction would publish this book because it is too fictional. Theists are their own worst enemy. Oops, got that snappy comment backwards – so much for being clever, eh? 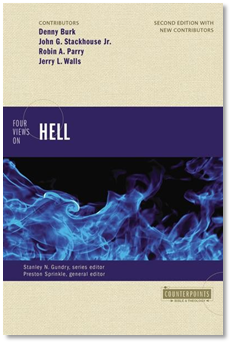 By the way- this is a bit of a pyrrhic victory – Bell is still being published by another arm of Zondervan’s parent company. I think Zondervan needs a pat on the back and a cup of tea for this one. I’m confused. I admire Zondervan for not carrying the book, but HarperOne is actually carrying Rob’s book and they own Zondervan. Glad to hear Zondervan did this. It’s impressive for them to make a decision that they feel will honour God but will lose them money. It would be nice if we could get some investigative reporting to tell us what the connection might be between that decision and the president of Zondervan leaving her post recently because her contract was not renewed. Wow! We need more companies that can lead like this. Good for them for standing for the truth. If the book departs from orthodoxy, and if that’s why Zondervan dropped Bell, then it’s an encouraging sign for the publisher. So many once-Christian publishers use “open-mindedness” as a fig leaf for “profits!” and it’s good to see some stepping out of those tar pits, and climbing back to the sunny uplands of Biblical faithfulness. I wanna echo JT…I’m perplexed. Can anyone explain why Zondervan is dropping them but HarperOne is not? Ok, this is a long mp3 but well worth the listen. This guy takes a sermon by Rob Bell called “Love Wins” and pokes holes all the way through it. The important thing to notice is the title of the sermon. This sermon was preached before the book was announced but it’s pretty easy to see from this sermon where he’s probably going with the book. Again, I think Rob Bell has done Christians and the church a real favor–it’s easy to see what someone’s theology is by how they respond to Rob Bell. “Wait and see”, “Judge not lest ye be judged”, “No one can be sure what the truth is”, “Open your mind and consider other points of view”=not the responses of a Christian. “Rob Bell preaches a false gospel”, “Rob Bell promotes heresy”=the response of a Christian. Here’s the link. Check it out. Ah yes, Zondervan, a Rupert Murdoch company. What other media empire could we possibly rely on for such high standards of honesty? The relevance of bringing in CBE is pointed out by AStev’s comment. Religious feminism (aka Egalitarianism) is a departure from orthodoxy. It’s been my impression that Christian publishers have a sycophantic relationship with religious leaders, who, after all, are some of their biggest clients and customers. I don’t think Zondervan would publish Martin Luther’s 95 Theses if they believed a sizable majority of his fellow religious leaders might be offended by them. Zondervan’s parent company, News Corp, is owned by Rupert Murdoch and also owns Fox News. Need I say more? Though a bit off topic I think Kamilla has a point. We have for years been told by CBE and egalitarians that the theological conviction of allowing women to be pastors has no link toward opening the door to more liberal theological beliefs. History and recent events seems to once again be speaking against this claim. Time and again we have seen the likes of Pagitt, McLaren, and Bell first step toward egalitarianims, go silent on issues like inerrancy and homosexuality, and then give a nod or endorsement to inclusivism/universalism. The book has now been pre-released to those in the pipeline, so to speak. Go over to challies.com to see a review by someone who HAS read the entire book. Interesting comments. No one has read the book, yet everyone is quick to throw labels. Wouldn’t Jesus be proud. And apparently Joe Blackmon has the corner on who is a Christian and who is not. Sad. Truly sad. Fighting in the body serves no one. Perhaps once the book is out and everyone has read it, then we can have an intelligent discussion. I heard the rumor last December from friends in Grand Rapids that he was going to come out as a universalist in his next book and that is why Zondervan and he broke ties but I honestly thought they had to be mistaken. I just didn’t think Bell was that stupid. That being said, I recently posted that, while I strongly disagree with Bell, I believe he didn’t take the easy path of mot evangelical pastors, which is to claim you believe in hell but never speak about it. I have heard the man say what he believes. I don’t need to read a book to know that. Besides, someone has already read the book, thereby saving me the trouble. I’ll take your very intelligent (snicker) suggestion under advisement. The only people who support Rob Bell are non-Christians or pretend Christians who reject the gospel. Period. Any so called “bias” against Rob Bell is actually just Christian discrenment. This article is somewhat misleading. My understanding is that, as of the last 48 hours or so, Zondervan has affirmed that it will continue to publish Bell’s back-catalog of titles. Yeah, yeah, I know — by saying something critical about your approach, I *must* support Bell. It couldn’t possibly be that I simply find your definitive statement simultaneously laughable and offensive. Go ahead, throw me under the bus. Jesus Christ! You guys are all so hostile towards each other. It’s silly. Dann is right, fighting amongst ourselves doesn’t serve Christ very well. I haven’t read the book and I haven’t heard enough of him first hand to say either way – I do however believe there to be a hell, whatever the case. But I feel led to say, we all tend to make the same mistake as Bell it seems. Bell is perhaps (and again, I don’t know) so concerned for sheep that he has taken his eyes off the Shepherd. That is tragic if true. While others take their eyes off the Shepherd to look out for wolves. Or did they think that this book would not make as much $$ from their crowd since it seemed clearly aimed at another audience? Man, I find it so pathetic that in a group of “Christians” you can bring up a name like Rob Bell and spark more controversy than mentioning Satan. Why on earth is there ministers out there wasting their time pulling his sermons apart.. did God tell us to go out and rip each other down or to preach the good word to all? The book isnt even out yet for pete’s sake! No wonder non christians cant be bothered getting close to knowing the truth, we’re so busy arguing over what it is and defending our own “rightness” that we’ve lost sight of our mission. If you dont think Rob Bell is correct, then focus on what you think is and quit wasting your time. Personally I’ve seen his word impact people in an amazing way and being raised as a pastor’s daughter I”m not immune to false doctrine. I”ve never heard Rob say or write anything I couldn’t take on board and see where he was coming from in scripture. His book says “a loving God wouldn’t send people to hell”? I believe that’s true… but we make the choice in our actions and sins. It was never his plan. That’s easily backed up in scripture.. do you disagree? Then grab your bible, step away from your keyboard and get back to establishing what you believe in, not what you dont. Is God’s love, and grace, big enough to even overcome our bad choice to not choose Him? I am AMAZED that there are so many opinions of Rob Bell and his book on here when TODAY is the book release date…….so I am guessing no one on here has read it yet, right?! Read first, then comment please. Loral – TOTALLY agree with you….and I am a pastor’s wife. Picked up the book on the way home from work and just finished it (it is a quick read). As he states up front there are really no new thoughts or ideas in the book. His speculations about heaven appear to be just that… no better or worse than others I have heard. He does indeed appear to be a Universalist… however he does make the distinction that Jesus, through the cross and resurrection, is the source for universal salvation. In that sense I believe he argues the work of the cross is even greater, more comprehensive, than some would have us believe. I suspect some within, and formally associated with, the Christian community will agree with him and others will not. I would think it will have minimal direct impact on those outside the Christian community. Brother, I’m simply boggled that you can take two posts from a woman you’ve never met (Melissa B.) and make a definitive statement about whether or not she has encountered and known the true Gospel of Jesus Christ. I’m not one that would suggest that we can’t judge other Christians, as I know Scripture better than to believe that, but I’d be ridiculously hesitant to declare someone’s salvific experience null and void, and their relationship with Christ untrue, if I had not spent substantial time with them, listening to their story of Christ at work in their lives and their faith explained in their words. I’m not even talking about the Bell book now, Brother – I’m talking about what comes across as elitist, honestly nasty self-righteousness on your part, showcasing what seems to be a ready willingness to beat Jesus to the punch on separating the sheep from the goats. Matthew 7:2: “For with what judgment you judge, you shall be judged: and with what measure you measure, it shall be measured to you again.” You’ll reap what you sow (Gal. 6:7-8), Brother. Think what you will and do what you will in regard to Bell, whether I agree with you or not. However, in regard to others whose theology and lives you have not known and sat with, I would urge you toward grace and caution. Otherwise, one can’t help but feel bruised by the plank swinging out of your eye as you make statements like this last one. I would think Mellisa B. is indeed a Christian who may also be a Universalist. If someone is simply a Universalist why on earth would they want to also pretend to be a Christian? We, Christians, can sometimes be the biggest knuckleheads on this earth. I can see why non-Christians sometimes just look at us and shake their heads. Thank goodness God has enough grace for us all. I would think Mellisa B. is indeed a Christian who may also be a Universalist. That’s like a man being a woman or a tree being an ocean. The two are mutually exclusive. You can’t be both. why on earth would they want to also pretend to be a Christian? I didn’t mwan that she acknowledges that she is a pretend christian. What I meant was that if she supports Rob Bell and his false gospel then even though she claims to be a Christian she isn’t a real one. Christians do not support false teachers. Joe I suspect you are exactly where God wants you to be today and that He is using you. I continue to be amazed at how diverse, and sometimes seemingly contradictory, Godâ€™s children can be and yet He still uses us all to His good pleasure. Blessings to you Joe… also to Melissa and Adam. I pray God continues to mold all of us into who He would have us to be and that we experience the joy of the Lord throughout our days. Signs that (despite not publishing the book) things are not well in Zondervan: “the break was amicable”. wow! I actually thought the book did glorify Jesus Christ.